This October, I felt an unusual burst of zeal when my ballot finally landed on my desk. I wasn't the only one itching to fill out those ovals, wanting to move on from this sordid chapter of American political history. 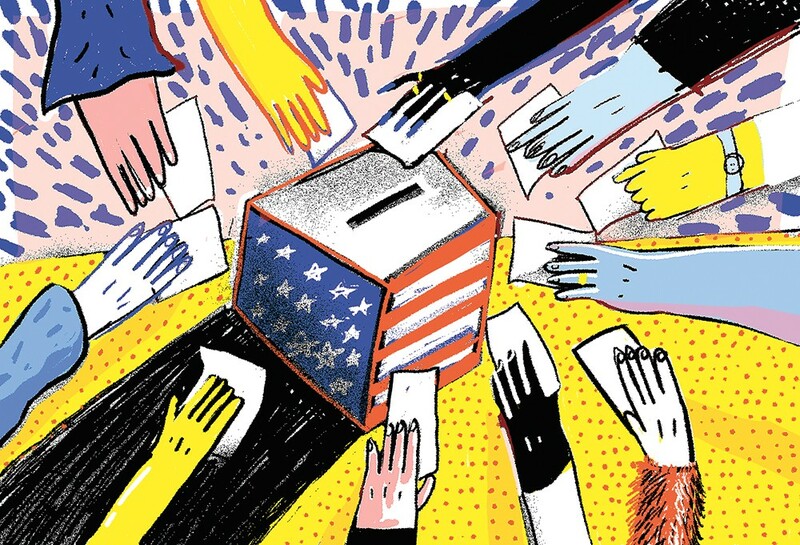 Rather than suppress voter turnout, the angst from the presidential race has had a surprising side effect: People are no longer taking our political process for granted, and instead are participating in new ways to bring more fairness and functionality to our governing systems. Throughout this election, the national drama has overshadowed an exciting field of candidates and ballot measures at the state and local levels. If you've felt discouraged by the debates and haven't voted yet, know that you have a real opportunity to create change locally. We will not only survive this brutal election, we stand to come out on the other side with a better balance of local leadership that can finally move a reform agenda forward. Voters have not just one but two initiatives to limit the influence of big money in politics. We are also voting on sick leave and minimum wage improvements, and increased public transit in Spokane, just to name a few. There are also competitive races for state legislature and county commissioner. If you are looking for a resource to better inform yourself about these topics, check out ProgressiveVotersGuide.com to help make sense of the cacophony of candidates and issues on your ballot this year. Even the painful presidential proceedings have come to us with a silver lining. The damage perpetrated by Donald Trump in inflaming racist, sexist and xenophobic views has become a clarion call for my generation to take the next steps in eliminating the "isms" that hold our human family back from being our fullest selves. In the Buddhist tradition, people are taught to see such loathsome figures as "teachers" who show us where we are weak, and where we must improve as a people. Trump has unwittingly painted a bright red target on the outmoded ideologies that Americans are increasingly willing to confront. While it's uncomfortable to acknowledge the long road ahead, being able to see where we need to go is an important prerequisite to getting there. It is a setback that Trump became the ineffective voice to appeal to legitimate critiques of our country's neoliberal trade policies. He also failed in credibly challenging the ruling elite's cycle of stoking deadly, expensive and immoral wars. As this year's down-ballot candidates continue to wind their way up the nation's political ladder, we will move closer to changing the national dialogue around income inequality, trade, human rights and climate change. Mariah McKay is a fourth-generation daughter of Spokane and a community organizer campaigning for racial, social and economic justice. She has worked in biotech and government and currently serves as a public health advocate.